We provide helpful tips about Life Insurance Approval with Artificial Valve ! Finding an affordable life insurance policy with Artificial Valve can be quite the challenge. Can I Qualify for Life Insurance if I have Artificial Valve? Yes, most individuals with Artificial Valve will be able to qualify for traditional life insurance, the type of insurance which requires a medical exam. Best Case Scenario – The best rating after an Artificial Valve replacement would either be a “Medium Substandard” or a “Severe Substandard” rating. Although the open heart surgery has been successful and a good heart function has been determined, there are still high risks that are involved in valvular diseases. Heart failure can occur at any time after an Artificial Valve surgery that is why a standard or mild rating cannot be given. Click here for quote at “Medium Substandard” or “Severe Substandard”. 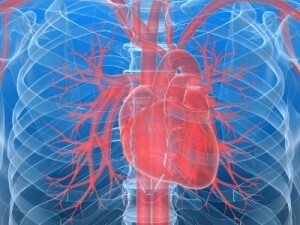 Severe Case – A severe case would be that of moderate to poor heart function after an Artificial Valve replacement. These cases are automatically declined by insurance companies. How many years since you had the Artificial Valve replacement surgery? If the open heart surgery had been done at least after two years already, it would be able to tell whether there is good or poor heart function. The best rating a good heart function can get would be at “Medium Substandard” or “Severe Substandard” rating. Have you experienced any symptoms of heart dysfunction within the last six months? Symptoms or flare signs such as chest pain, abdominal discomfort, palpitations or difficulty of breathing may be indicative of a poor heart function. These symptoms may be warning signals of an impending heart failure, which may cause you a decline. The need for medications for heart symptoms or hypertension may indicate either control of the ailment or a worsening condition. Do you have regular check-ups with your cardiologist or cardio-thoracic surgeon? Your physician is the best resource person who can tell your actual heart condition. Their narrative clinical evaluation will determine whether you have a good or poor heart function. Recent laboratory and diagnostic tests such as heart blood markers or ECG are the best ways to assess your actual condition. This may also confirm your compliance with your physician’s management. An Artificial Valve is a small medical device that is implanted inside the heart, and is used to correct valvular diseases. An open heart surgery is performed when the valve is inserted in place of the defective one, which can be any of the four heart valves. There are two types of Artificial Valves that can be used to replace the defective one. It can be a mechanical valve through the use of a stent or a biological valve where a tissue is used as an allograft or xenograft.